Women who make the breast augmentation choice have many decisions facing them before their surgery. One of the biggest will be selecting the type of implant they want to use. In addition to saline and traditional silicone implants, there is a third choice that is attracting many women today. The highly cohesive gel implant, also known as the form stable or gummy bear implant is a newcomer to the augmentation scene, but many women have already tuned into the potential advantages these devices offer the right patient. 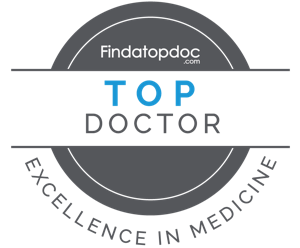 Dr. Williams is one of the top plastic surgeons in the Las Vegas area for Mentor form stable implants, after completing the Mentor surgical preceptorship in the insertion of this particular implant. Like other options, gummy bear implants come in a variety of shapes, sizes and profiles that allow your plastic surgeon to tailor your augmentation to your precise body proportions and desired outcome. You can choose from round or teardrop-shaped implants, depending on how much current breast tissue you have and the amount of an upper pole fullness you want in your new breast shape. Choosing the right size and profile can be complicated for patients that are unsure what to expect from their results. Rest assured Dr. Williams and his staff will take plenty of time to help you weight your options and select the implants that will meet your aesthetic goals. While the gummy bear option boasts numerous positive features, there are a few drawbacks as well. It is essential to consider the pros and cons carefully to determine whether this is the right implant for you. For some women, these drawbacks will not be sufficient to sway them from trying out this new device. Others may prefer to stick with the tried-and-true standard silicone implant that has been used for many years and has a track record of success. Is the Gummy Bear Implant Right for You? Since many factors will go into your choice of breast implant, it can be difficult to say for certain whether the gummy bear implant will be the right one for you. Some small breasted women find this option gives them the stable fullness they are looking for, while others might decide the implant doesn’t feel enough like natural breast tissue to make the grade. Women seeking reconstruction after breast cancer surgery may find the gummy bear alternative makes for a more comfortable procedure and a better aesthetic result. No matter which type of implant you choose, your selection of the right plastic surgeon will go even further in determining the safety and success of your procedure. Dr. Williams has the experience and expertise to help you tailor your augmentation to your precise needs and body proportions to ensure you achieve the best possible results. To schedule your consultation and find out if breast augmentation is the right choice for you, contact Carl Williams M.D. Plastic Surgery at 702-259-3223.